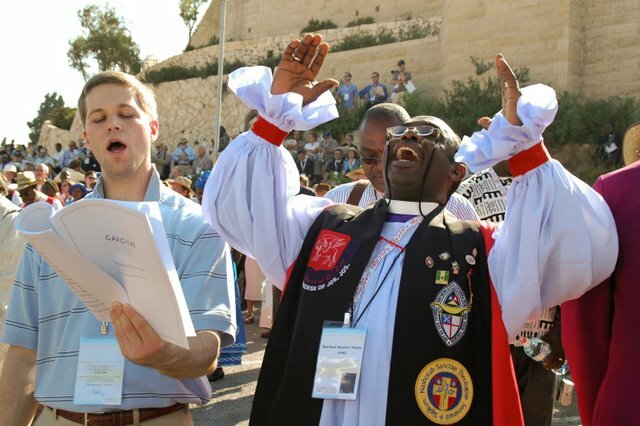 GAFCON Report: "More than I could ever have imagined"
GAFCON has proved to be much more than I could have dreamed, and we are only halfway through the week! We have heard great preaching from some of the giants of the Anglican Communion – Peter Akinola, Henry Orombi, Michael Nazir-Ali, Os Guinness, and more. And the worship has been some of the most transporting I have ever experienced. Imagine the power of 1200 people singing “It is Well with My Soul” at the top of their lungs. I think that might qualify as a small glimpse into what Heaven will be like! As I looked around the room, I was struck by the fact that the gathering looked a lot like the Anglican Communion as a whole – a majority of the group is African, but with plenty of people from all over the world as well. And I noticed that people were not sitting in little groups keeping to themselves – Nigerians mingled with Australians, Ugandans were rubbing shoulders with Canadians, and so forth. We are all truly one in Christ! It also has been wonderful to reconnect with Martyn, as well as Angela and Rachel. He is as frantically busy as always, but he is still deeply interested in the ongoing life of CANA and the ADV. It is good to catch up with him. In the middle of all of this activity, I have found a little time to see Jerusalem. We gathered early in the week on the Mount of Olives, and I was able to walk the Via Dolorosa yesterday. It is a special thrill to see these holy places, and to walk in the footsteps of Jesus. I have made a vow to return! 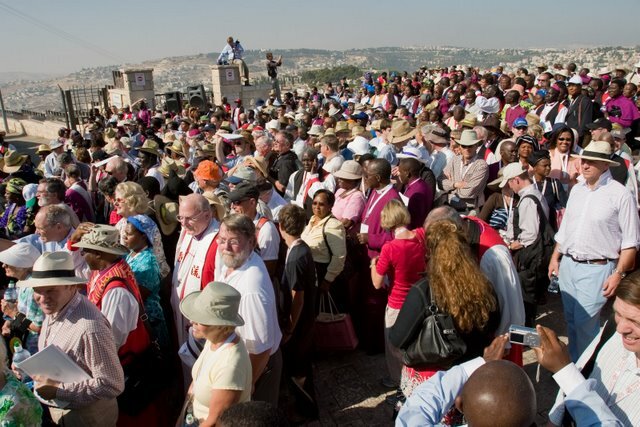 I know that people are wondering what the outcome will be of GAFCON. Will there be a movement to form a new province in North America? Will there be a realignment of the Anglican Communion? The answer is that I have no idea, and neither does anyone else here (although we know that God is in control, and He knows where He is leading us). We are in the middle of the most open discernment session I have ever seen anywhere. We are breaking into small groups to discuss the sermons we are hearing, and struggling to understand what God is saying to us through this experience. We are handing in comment forms by the hundreds, and giving inputs to a group that will be drafting statements as the week goes on. But mostly, we are listening and praying. I am not sensing any anger or bitterness towards anyone, just a genuine desire to hear God’s will for us all. It is truly humbling to be a part of this gathering, and I know that I will never forget this pilgrimage. As with so many things in my Christian life, it has been more than I could ever have imagined. Thank you Lord, for your blessings! This entry was posted in ADV, Anglican News. Bookmark the permalink.